Our wolf-eel eggs continue to thrive. 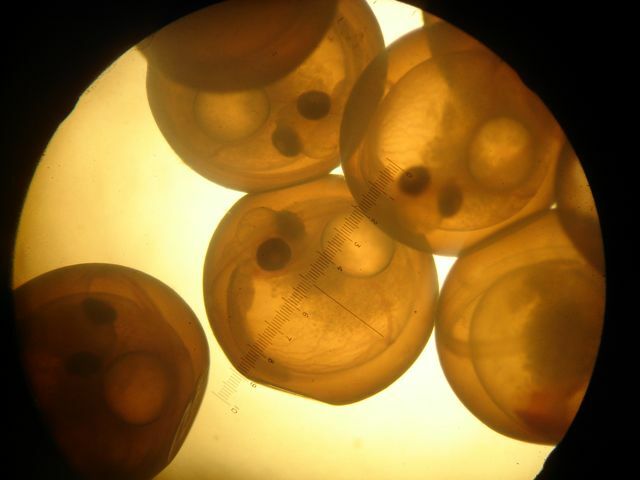 Each week, our aquarists take photos of the developing eggs to track their development. Note the long tail running just below and to the left of the yolk. 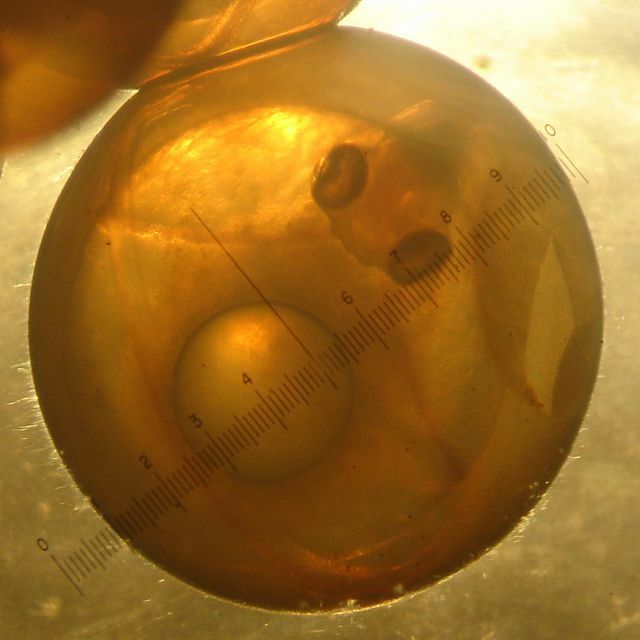 You can also see a pair of blood vessels that fork out from below the head toward the perimeter of the egg. 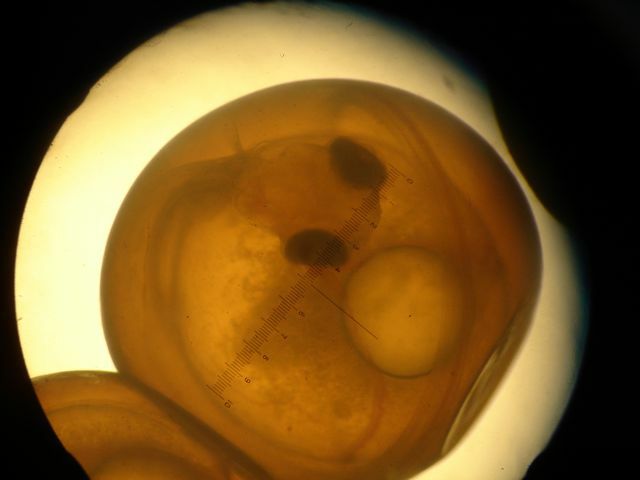 The eyes seem more developed and pigmented than what was observed at 4 weeks. Check out the left pectoral fin at the base of the neck, shooting upward. The eggs should hatch in about a month. Below is a short video we took when the eggs were with still with their parents. See how closely they guard them! Birch Aquarium hosts Virtual ‘Hangout’ with Students Across the U.S.